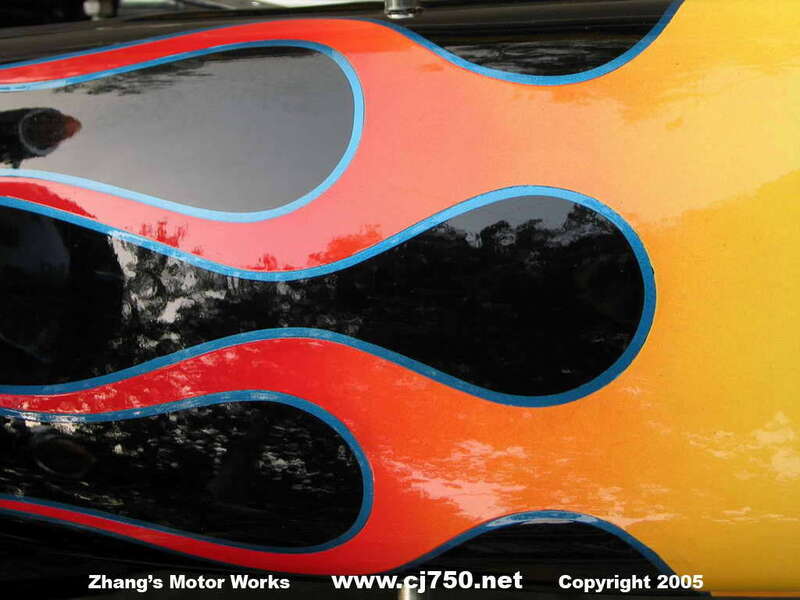 PLA - whats the big deal? 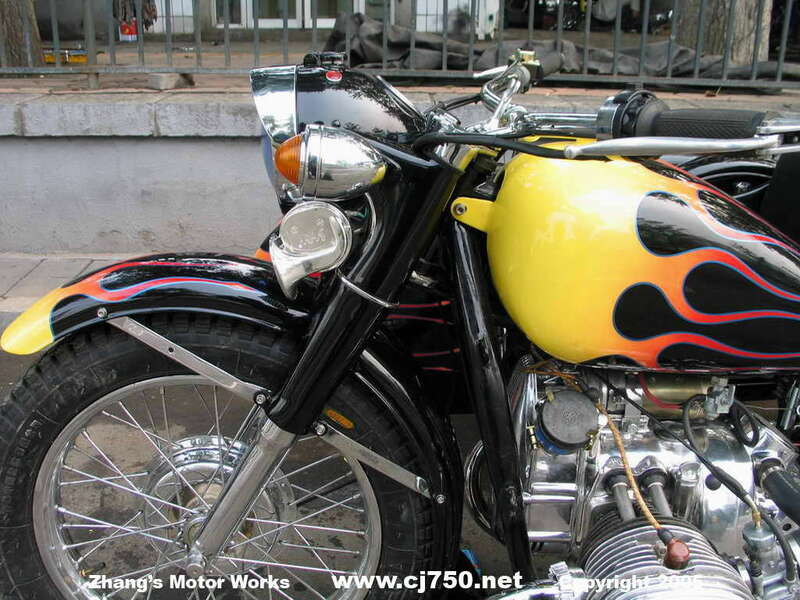 This incredible flame job premium restoration is cruising around Suzhou. 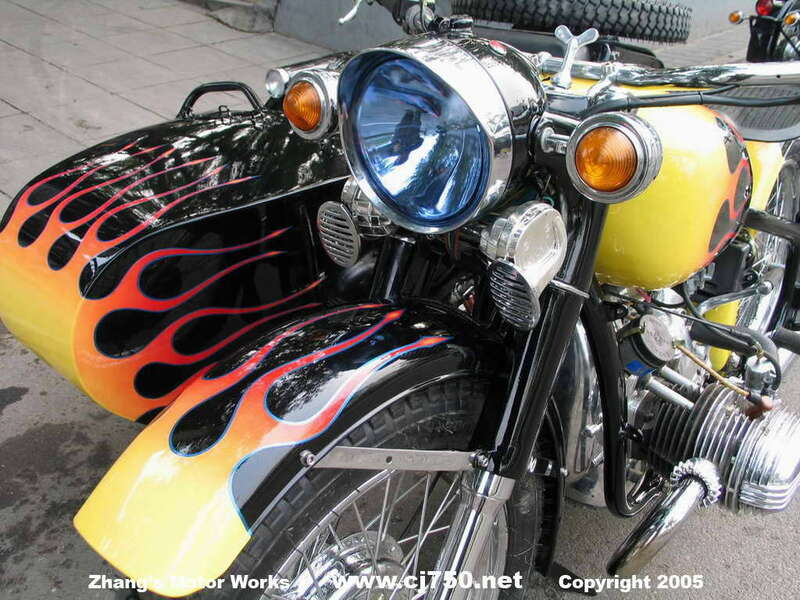 The flame job flows perfectly from front to end, and has a pearl dust trim, 12 layer paint job, re-welded frame, extra loud horns. 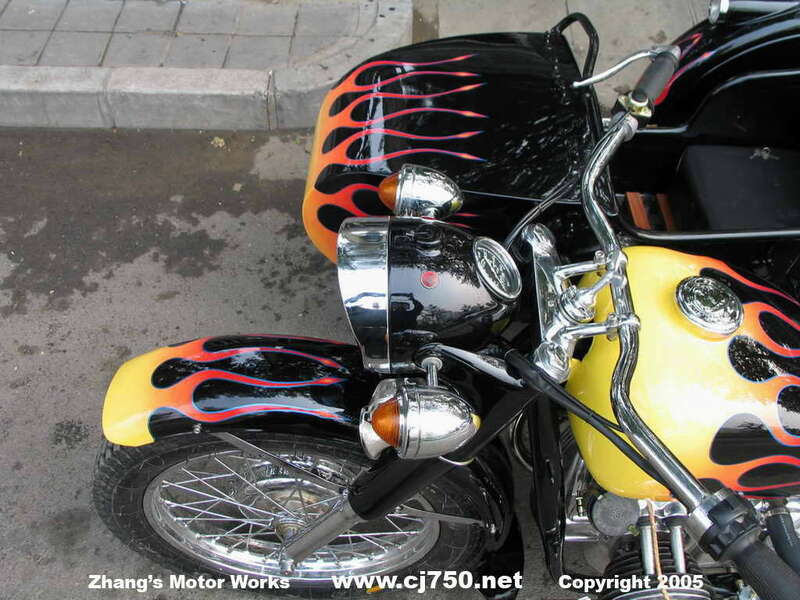 Other details include: super polished engine, excellent quality chrome, high preformance carburetors, duck boards, and importantly Beijing "Jing A" plates. 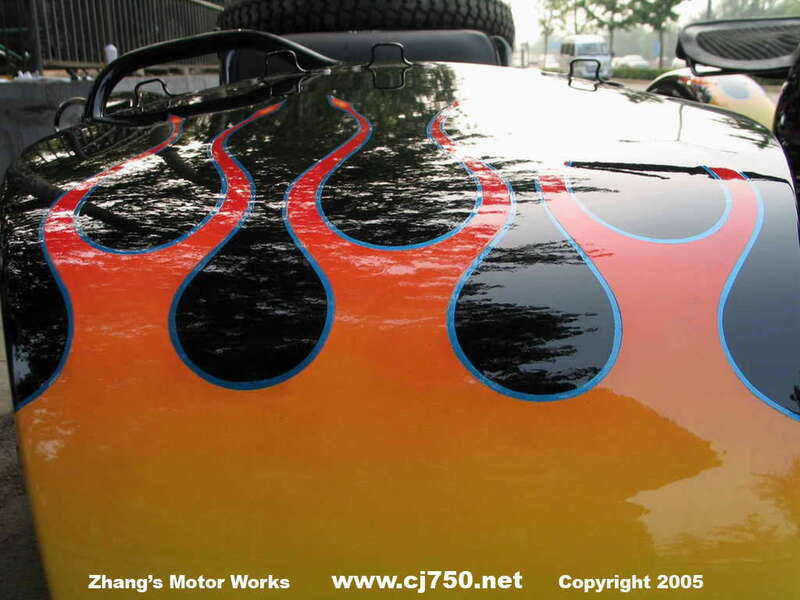 Look through our FAQ pages and send us an e-mail of your questions. 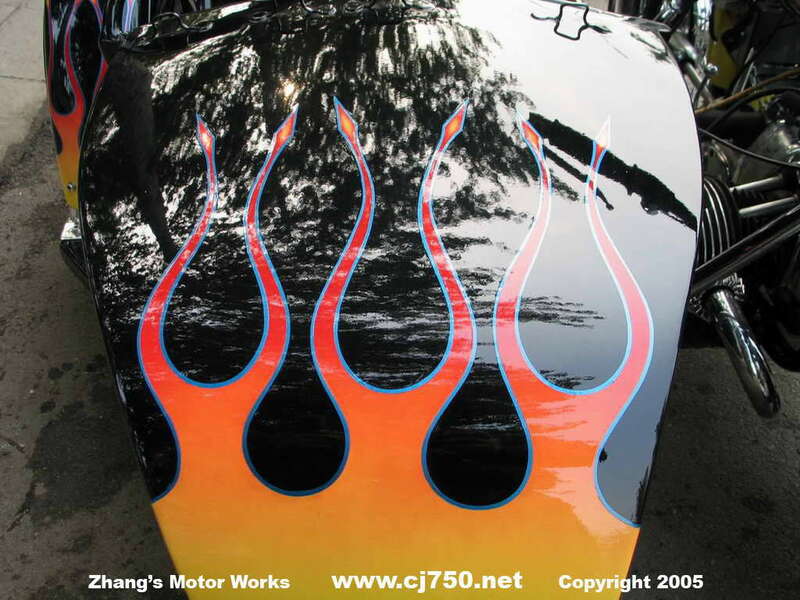 All our custom restoration details are listed, and also prices are itemized. 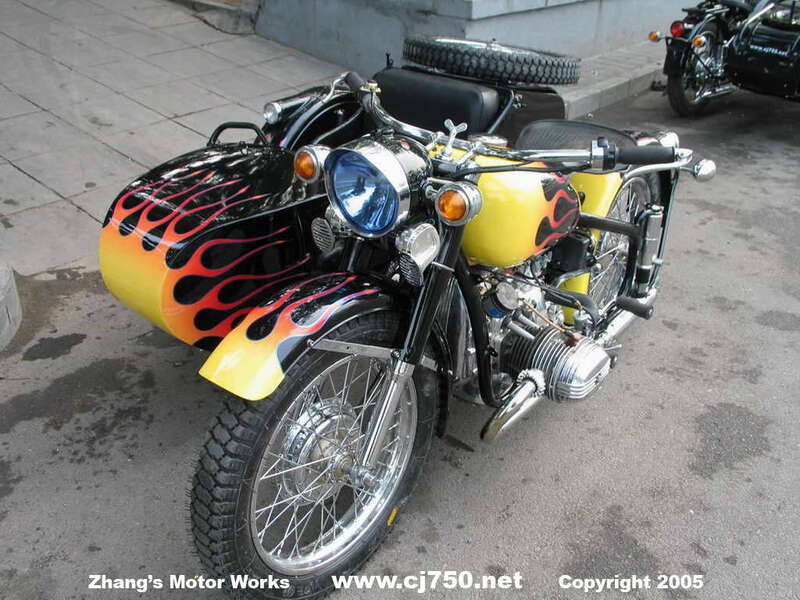 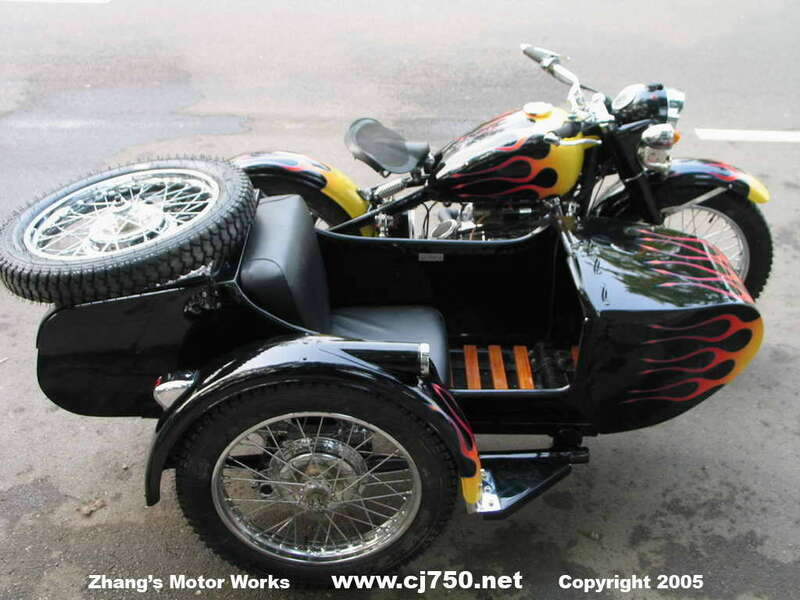 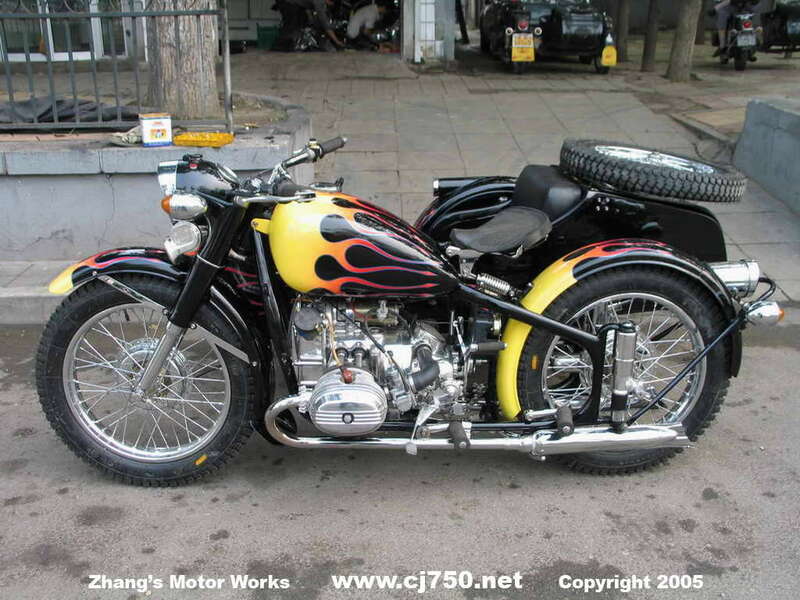 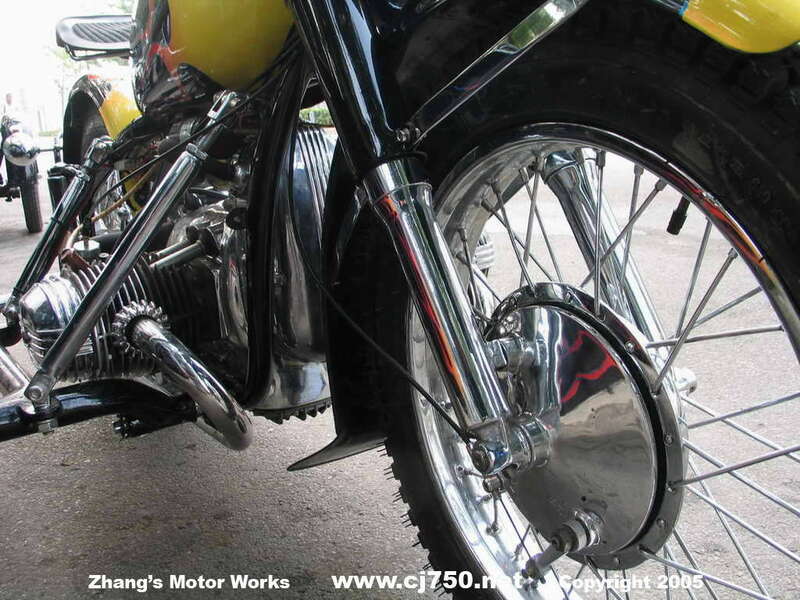 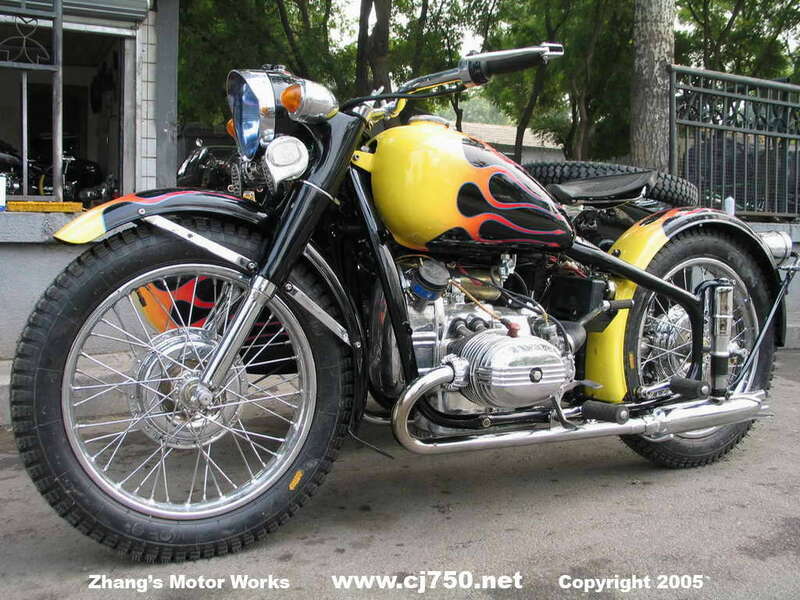 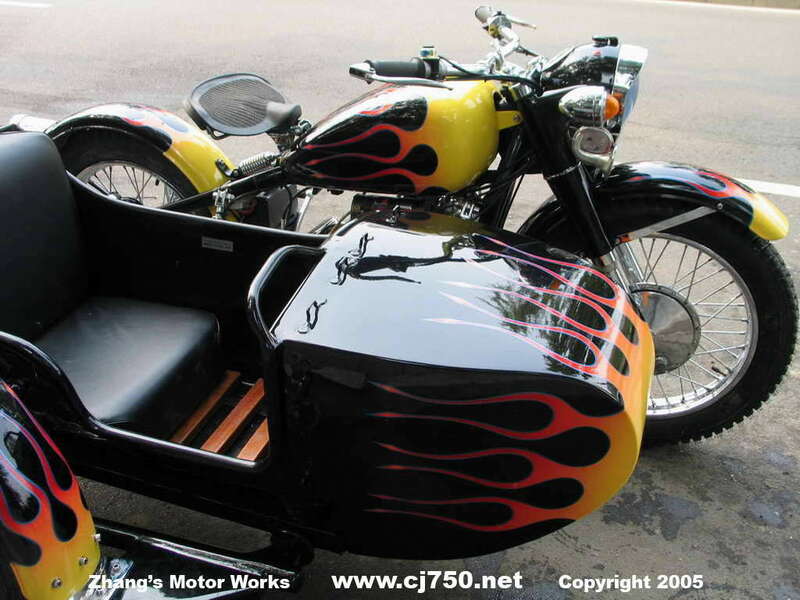 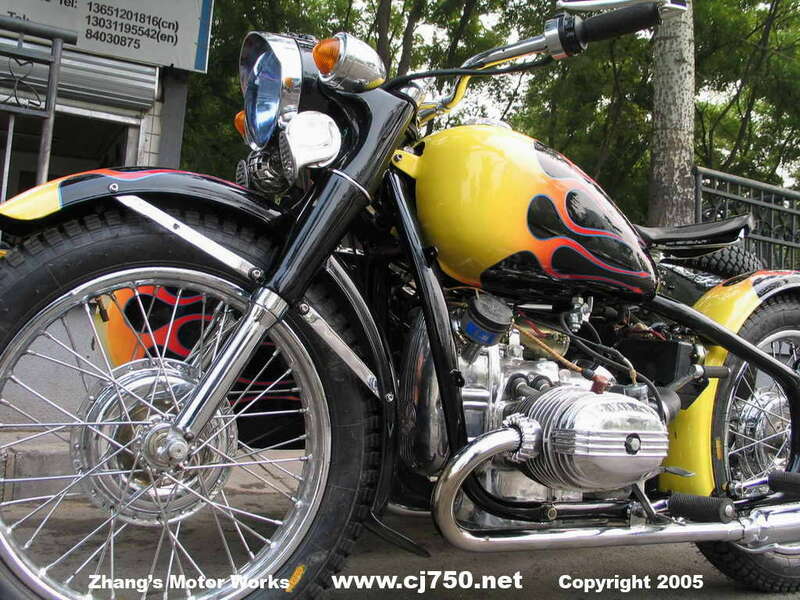 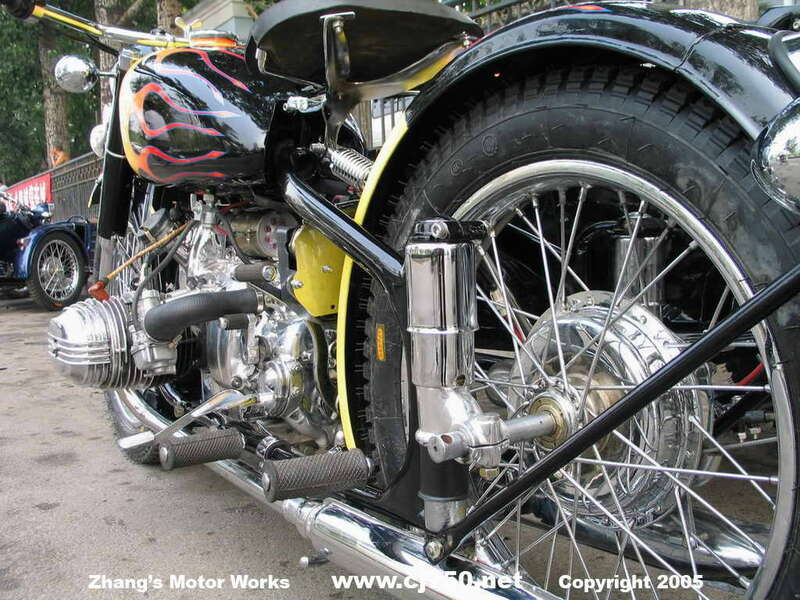 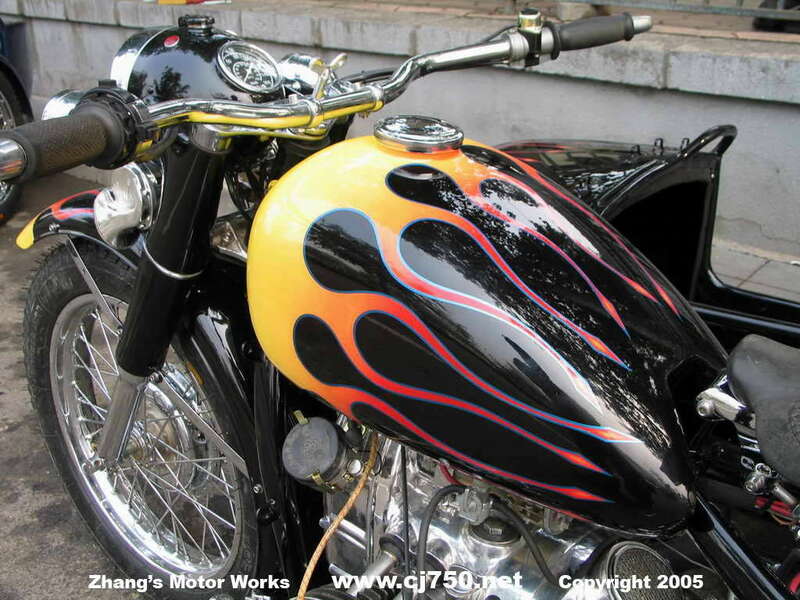 For those living in China we will only sell legally licensed Chang Jiang 750 sidecars. 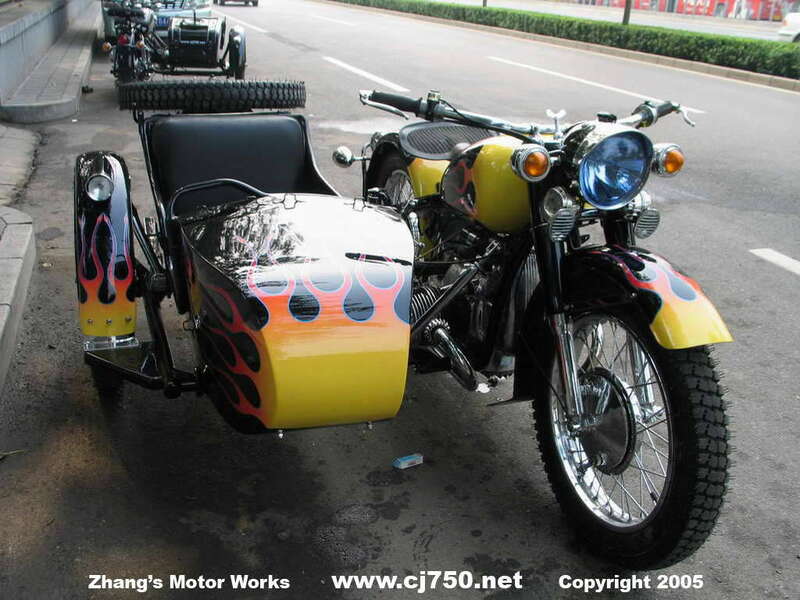 For export all our restorations are from PLA issued Chang Jiang 750 sidecars that have little to no mileage and in excellent conditon. 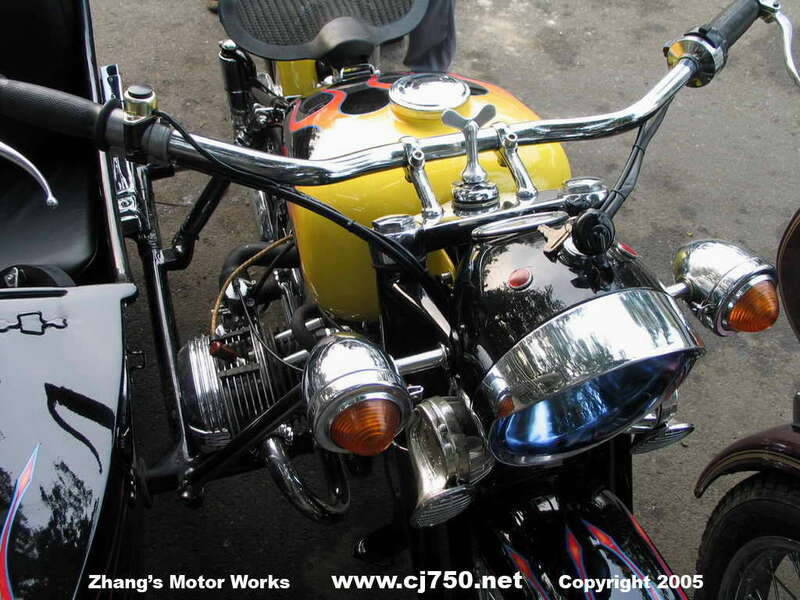 for CJ750 owners. 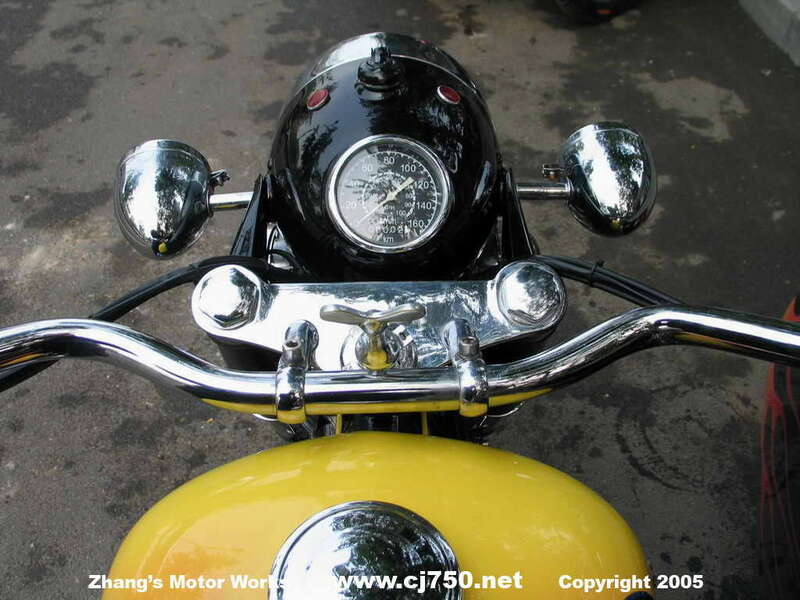 Find out what's happening, the latest rides, events, and post your pictures. 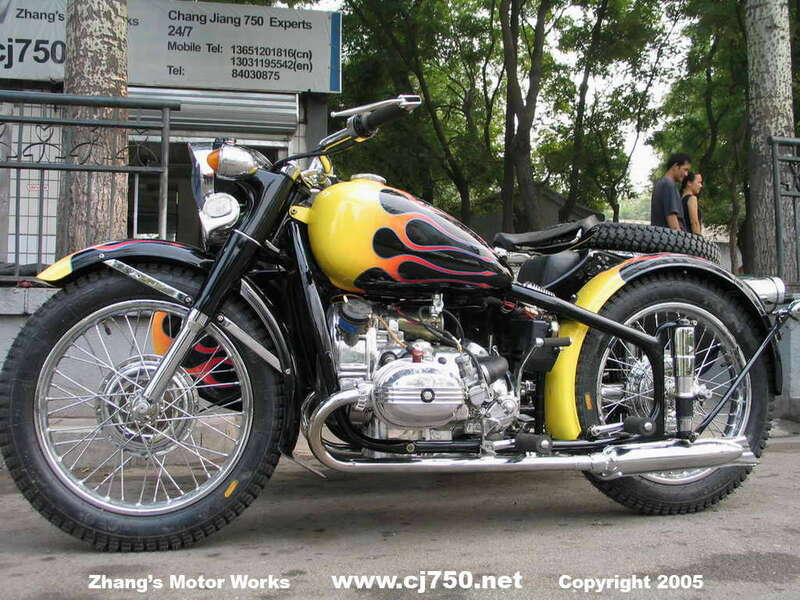 Some really cool pictures, check out Beijing Sidecars site. 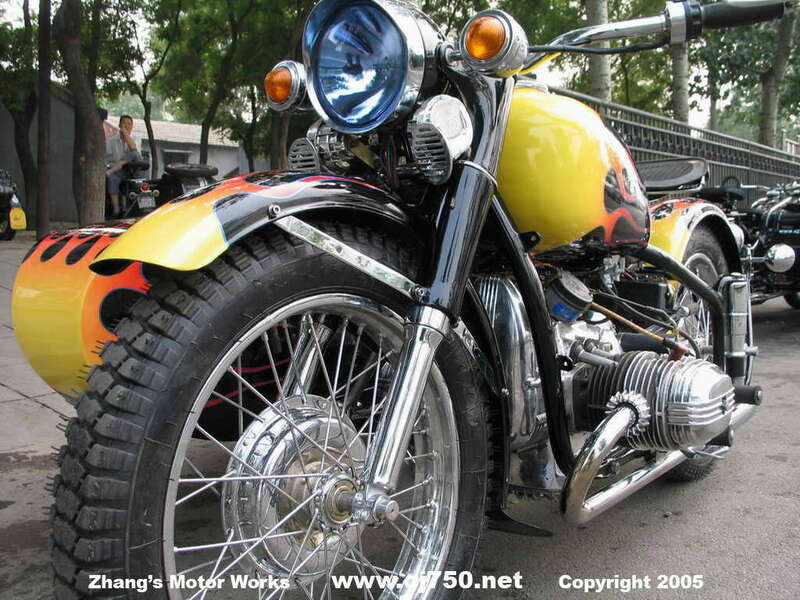 China's oldest and largest sidecar motorcycle club! 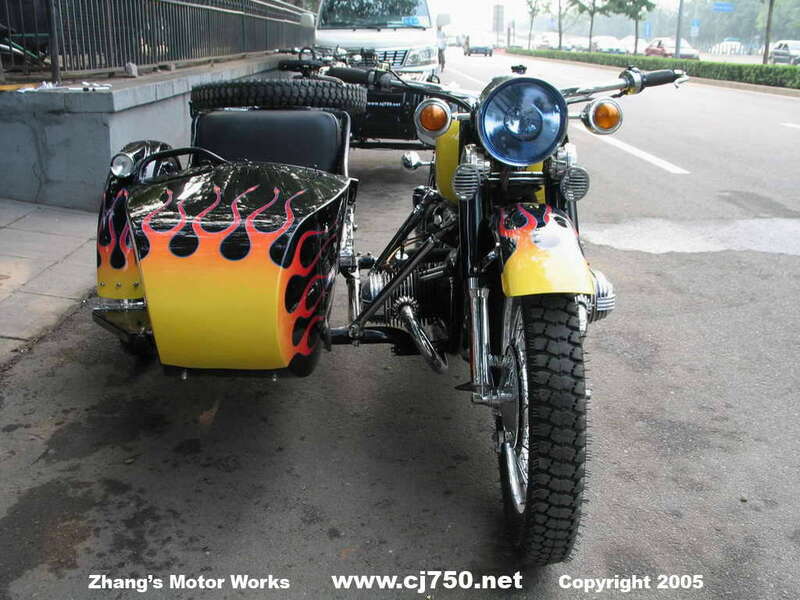 Your motorcycle/sidecar adventure in China. 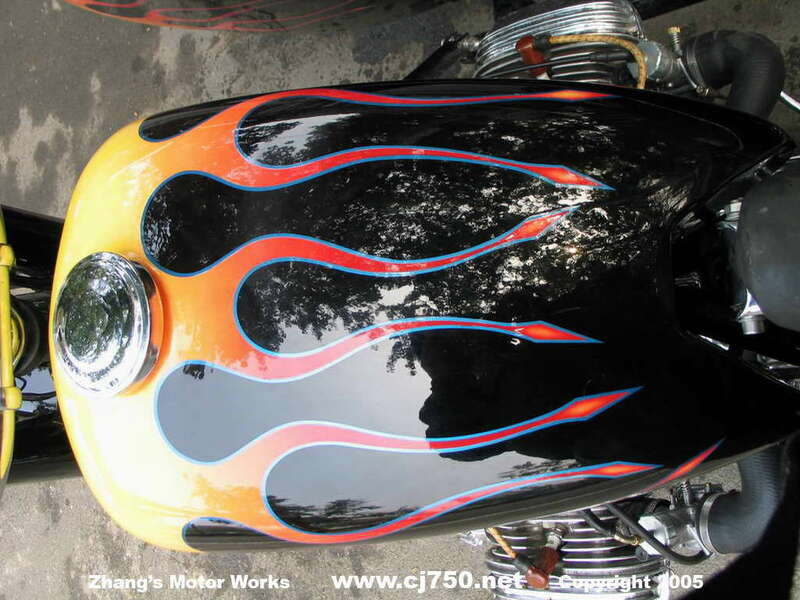 check out this cool site! 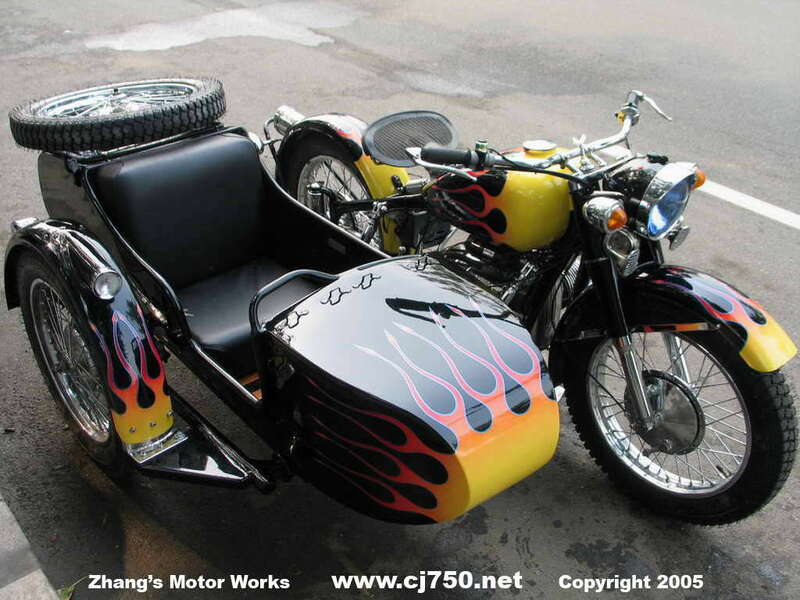 Dealer selling CJ750 Sidecars in the USA, also Urals and Dnpers. 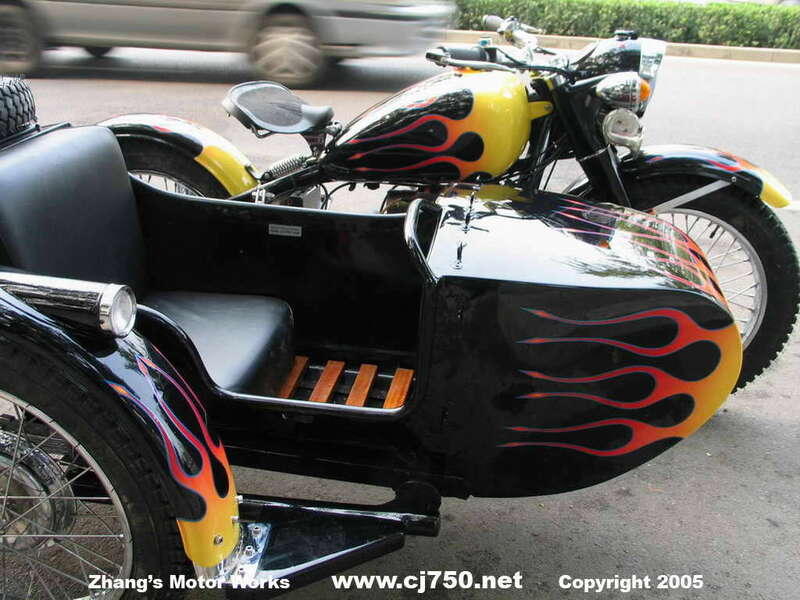 Electric Bicycles - custom manufacturing and servicing for delivery.